Grandpa's Story: A Comb, Penknife And Handkerchief A mother talks to her son about the grandfather he never knew. 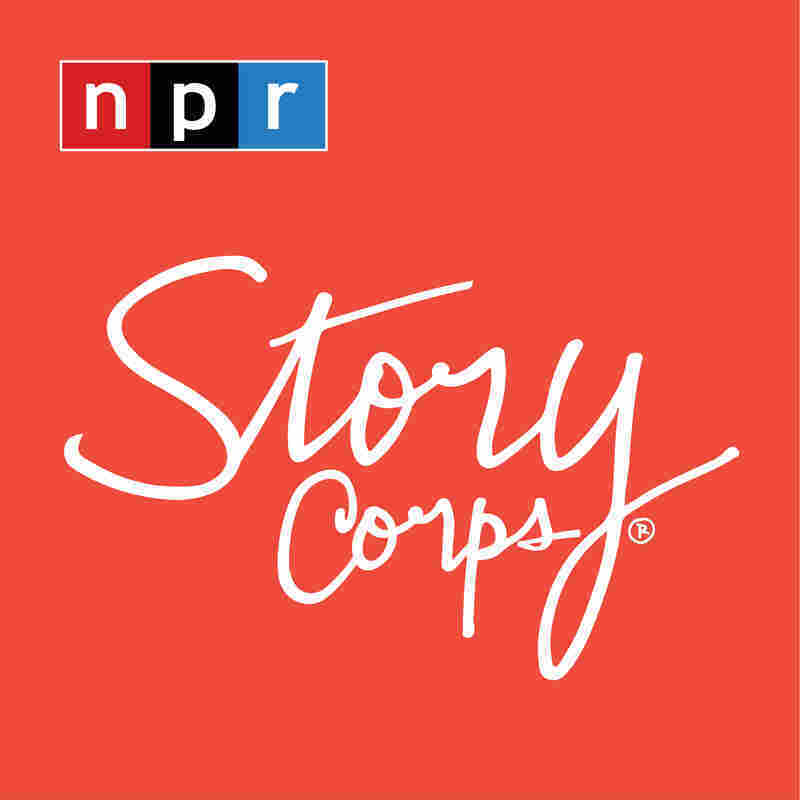 Thirteen-year-old Jack Bruschetti and his mom, Lynne, during a recent visit to StoryCorps. Jack Bruschetti was born in 1999, the same year his grandfather, Leonard Carpenter, died from Alzheimer's disease. 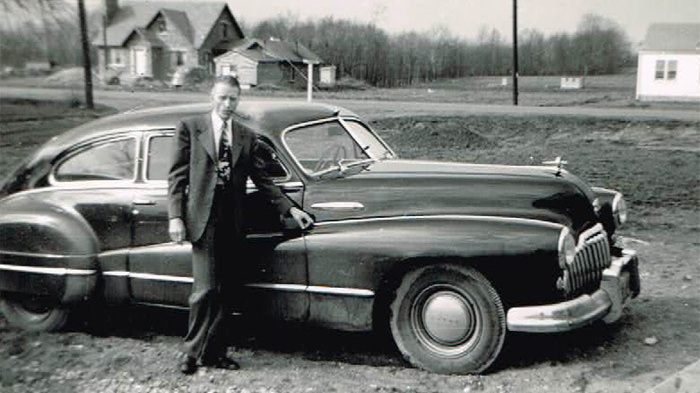 But 13-year-old Jack wanted to know more about his grandfather, who worked as a tire builder for BFGoodrich in Akron, Ohio, where he also raised his family. "It was very important for him to be in control at all times," Jack's mom, Lynne Bruschetti, said to him during a visit to StoryCorps in Atlanta. "We lived in the city, and we had very tiny yards, and he didn't use a lawnmower. He used clippers because he wanted every blade of grass to be exactly the same height. We could play in the driveway, on the sidewalk, in the middle of the street, but we were not allowed in that showplace yard of his." Lynne said her father — who was 86 when he died — always kept a comb, handkerchief and penknife in his pockets. "And the handkerchief was always clean and pressed, and he would use a handkerchief not to blow his nose but to clean. If there was like a mark on the side of our house, he would wipe it," she recounted. "And when I was a teenager, I was starting to lose respect for your grandpa Leonard." Lynne said she resented her father for "always wanting to keep the house perfect and always being in control, and I was starting to realize that he wasn't that educated." Leonard Carpenter in Kentucky, where he grew up, in the early 1940s. Carpenter became president of the board of trustees of Park United Methodist Church and served as president for a few years. When the trustees met, he would take apples. "First he would pull out his handkerchief and he would wipe the apples and make them shiny," said Lynne, who is 51. "And then he would pull out his penknife. And he'd always cut so that there was just one long apple peel. And as they're arguing, he would slice the apple, put it on the penknife, and hold it out to each member of the trustees. And every meeting, they would eat apples together. "And they started getting trust back. And so he had that ability," she continued. "He didn't have a lot of money. He didn't have a lot of education. But he had that handkerchief, and he had that penknife in the trustee meetings. "And people did start to get along. He was an important part of that."